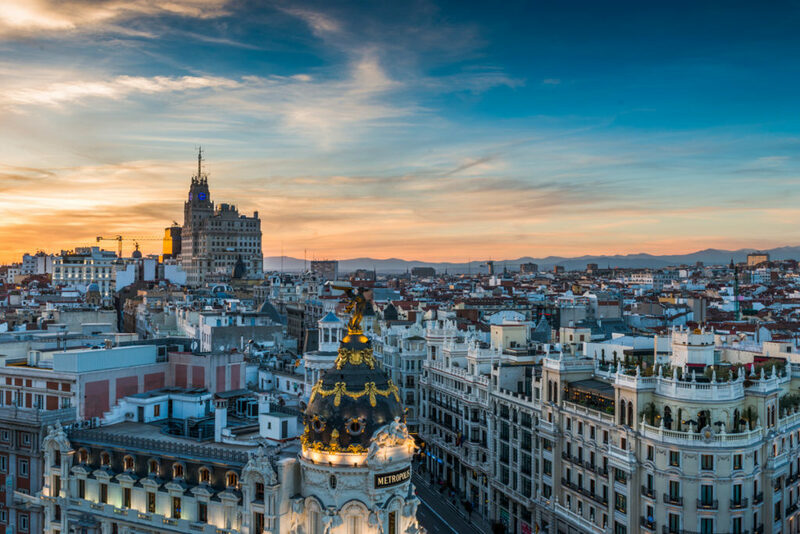 With dazzling bright blue skies for much of the year, Madrid would be an energising city even without the world-class museums and the buzzing streets. Kick-start your morning with a traditional breakfast of churro fritters dipped in delicious hot chocolate at Chocolatería San Ginés, which has been keeping people carbed up since 1894. When you’ve polished off the churros, take the short walk to Monasterio de las Descalzas Reales. Originally a palace, the convent was founded in the mid-16th century by Juana, King Felipe II’s sister. 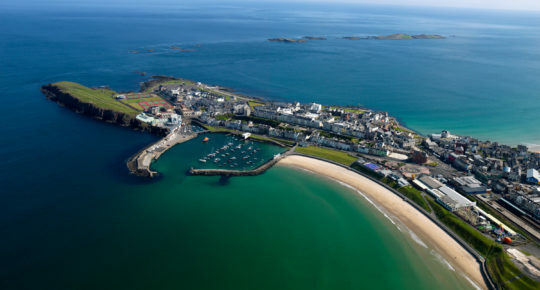 It’s still home to a small community of nuns and contains an extraordinary collection of artwork and tapestries. 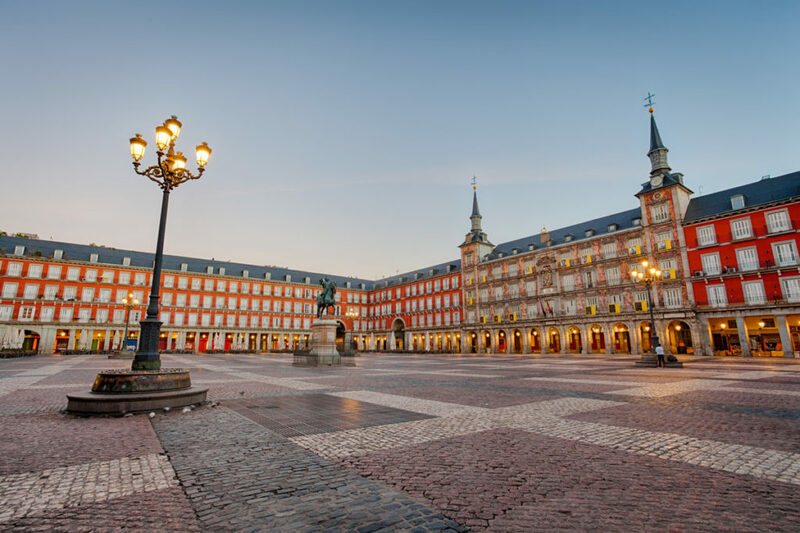 Afterwards, walk down to the Plaza Mayor to soak up 400 years of history, framed by red-brick buildings and slate turrets. 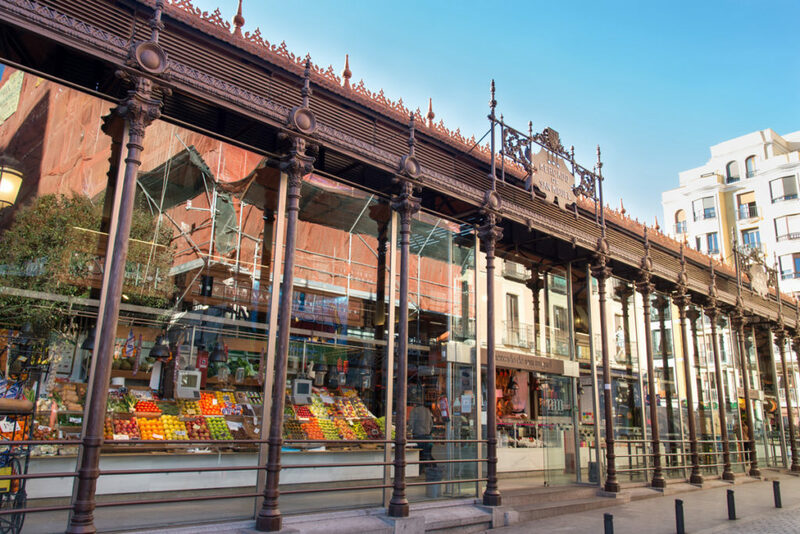 When you’ve worked up an appetite from all the sight-seeing, Mercado de San Miguel is the perfect spot for a quick bite. It’s Madrid’s first gourmet market and you won’t be stuck for options. The ice-cream at Rocambolesc is a must! In the evening, get right into the Madrid vibe and take a tapas tour around the most traditional neighbourhoods – you’ll pick up some local tips from your guide about how to order in busy bars as you go. Try Devour Tours, they focus on family-run places and offer a good mix of the oldest taverns and modern gastrobars. 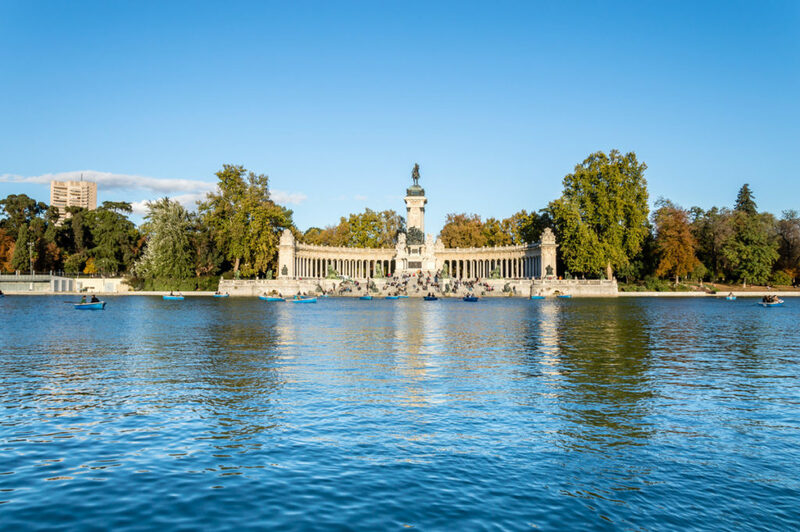 Take a stroll around Retiro Park – a green oasis in the heart of the city. 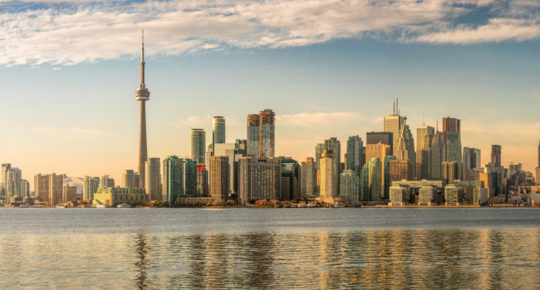 You’ll find all kinds of interesting monuments, gardens and a lake where you can rent a rowboat to take in the water views. From the park, walk down to the Reina Sofía Museum. The museum, housed in an 18th-century hospital, is home to Pablo Picasso’s masterpiece, Guernica, as well as works by Salvador Dalí, Joan Miró and Juan Gris. If shopping is your thing, Madrid has some of Spain’s hippest hipsters, so there is no shortage of places to get vintage clothes, vinyl music and books in the city. Head to Gran Via for all the brand names you’re familiar with. The side streets like Fuencarral and Hortaleza are home to smaller boutique shops that are equally great. For dinner, head to Bodega de los Secretos, a restaurant located in underground wine cellars with arched booths where you can feast on modern Spanish dishes, such as oxtail rolls, sea bass with scallops, and grilled octopus. After dinner, make your way to Museo Chicote for a digestif – Madrid’s most famous cocktail bar opened in the 1930s and still retains a lot of the original décor. Expect mirrored alcoves down one side, a long bar down the other and bottle green leather club chairs. Ernest Hemingway was a regular, as were Frank Sinatra and Sophia Loren. It remains a popular choice for celebrities now, you never know, you might spot a famous face. 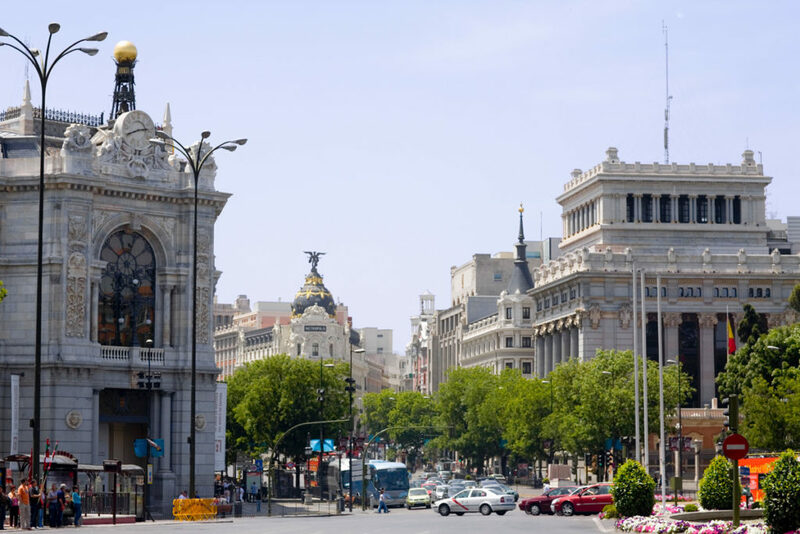 Madrid is all about spontaneity and even the best-laid plans tend to be forgotten after a couple of days as you slip into the swing of the city. Don’t feel guilty about abandoning your cultural agenda, it just means you’re living like a true Madrileño. 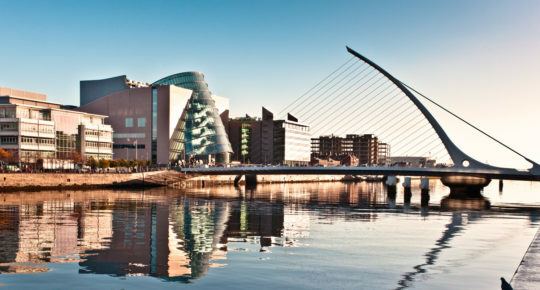 GETTING THERE: Dublin to Madrid is a 2 hour 35 minute flight with twice-daily departures from Dublin Airport. 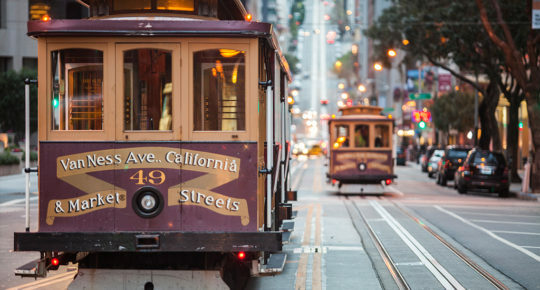 The city centre is very accessible, trains leave every 5 minutes to the city centre and the ride takes just 12 minutes. BOOK NOW: Visit our website for the lowest fares to Madrid.